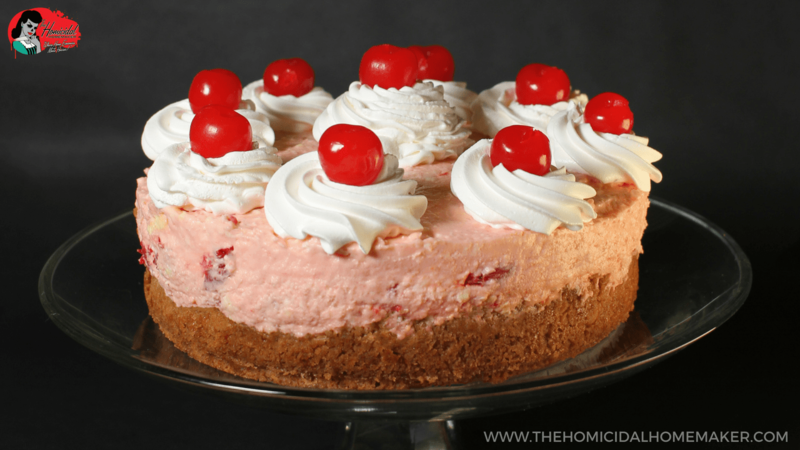 Let me start off by saying that this vintage recipe for Cherry Cream Pie absolutely did not need a revamp – the recipe holds up on it’s own. What’s not to love? It’s an easy, no-bake dessert filled with cream cheese, sour cream, and oh-so-delicious cherry pie filling. This Cherry Cream Pie recipe comes from the pages of Better Homes and Gardens Pies and Cakes cookbook, from 1966. It’s no secret that I have an affinity for all things mid-century (including the good, bad, and utterly horrific recipes of that time), and I’ll be the first to admit that I may have a problem with hoarding vintage cookbooks, magazines, and recipe clippings. If you follow me on Pinterest, then you already know that one of my largest and popular boards is my Vintage Ads, Recipes, & Monstrosities. Well, that fascination just doesn’t stop on Pinterest. I have boxes upon boxes of magazines, books, and ads that I’ve collected throughout the years. Some of them came from my grandmother. Others came from a family member who found them in the garage of an in-law that had passed away. And some of them, like the Pies and Cakes cookbook, came from an antique or thrift store. I picked this particular book up at newly-opened antique shop. I told the usual lie to myself – “I’m just looking; I’m not going to buy anything.” And of course, the first section that I went to had some mid-century dishes and glassware, and tons of cookbooks. I flipped through this book, and a few others, before putting them back on the shelves and looking around the rest of the store. Then I went back and looked through two of the books once more. I told myself that I didn’t need these books, and as I flipped the page, I saw the recipe for Cherry Cream Pie. Once I read the ingredients, I knew I had to make it. $40-something later, I was leaving the antique store with a bag full of vintage knick-knacks, cookbooks, and a bowl. 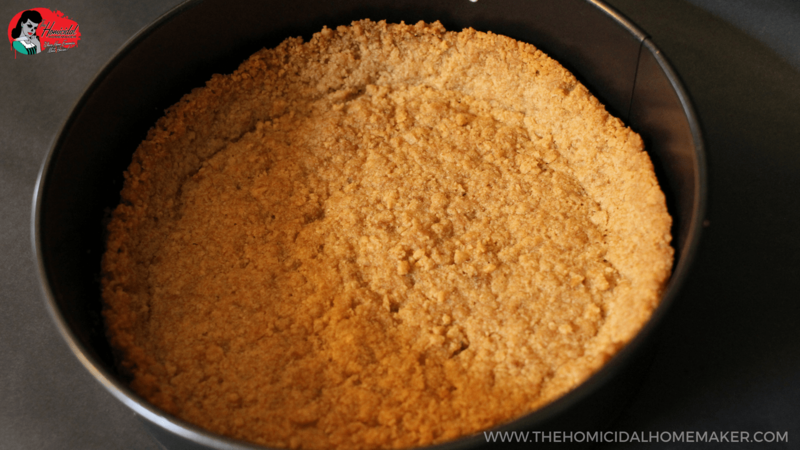 Since that day, I’ve made this recipe several times as stated, as well as a store-bought graham cracker crust. But friends and family members that have indulged in my no-bake desserts already know that I prefer to add my own personal twist to a graham cracker crust – I instead use animal crackers and brown sugar. The animal crackers have a faint essence of lemon, and when paired with butter and brown sugar, really brings a whole other depth of flavor that traditional graham cracker crusts lack. It truly is delicious, and has become a staple in my baking arsenal. Secondly, one of my personal favorite flavor combinations are cherries and almond, so I added just a touch of almond extract to the filling. The almond essence compliments the sweet and tart cherries so wonderfully. Lastly, presentation-wise, I wanted to serve this Cherry Cream Pie like a traditional cheesecake, so I used a greased and parchment-lined 7-inch spring-form pan instead of a traditional pie plate. Regardless if you choose to follow the original recipe, or revamp it using my recommendations, I can guarantee that you will end up with a deliciously creamy and satisfying dessert. I hope you enjoy this vintage recipe as much as my family did! Take a trip back in time to 1966, and try this cool and creamy Cherry Cream Pie from Better Homes and Gardens ``Pies and Cakes`` Cookbook. Using a rolling pin or food processor, finely crush the animal crackers. 5-ounces of crackers should yield about 1 1/4 Cups crumbs. Add in the brown sugar; mix or process to combine. If any large sugar clumps remain, break them apart with a spoon. 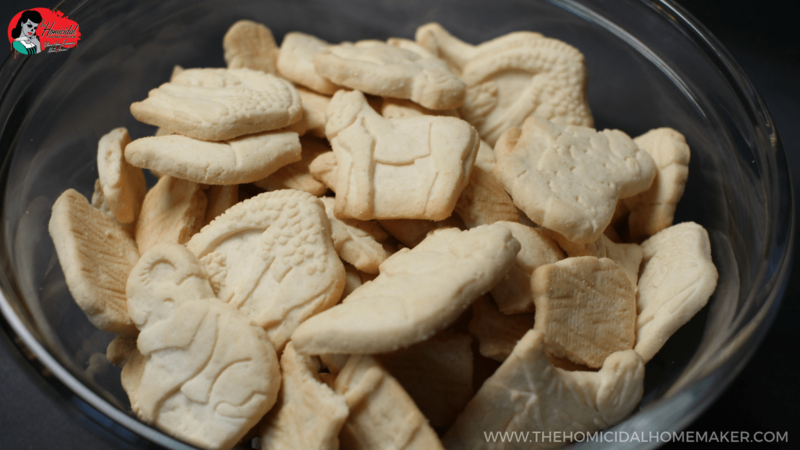 Slowly pour the melted butter over the crushed animal crackers, and mix to combine. Press crumbs evenly and firmly into bottom of a prepared pan. In this instance, I used a 7-inch spring-form pan greased and lined with parchment paper. A heavy flat-bottomed measuring cup works excellent for pressing the crust. Bake at 325°F until deep golden brown, around 15-20 minutes. Allow to fully cool before pouring in filling. In a large mixer bowl, cream an 8-oz package of softened cream cheese, gradually adding in 1/2 Cup milk and 1 Cup sour cream. Sprinkle 1 package instant vanilla pudding over the cream cheese mixture. Beat 45 seconds at lowest mixer speed. Pour into pie shell. Spoon reserved cherry filling over top. Chill until firm, at least one hour. 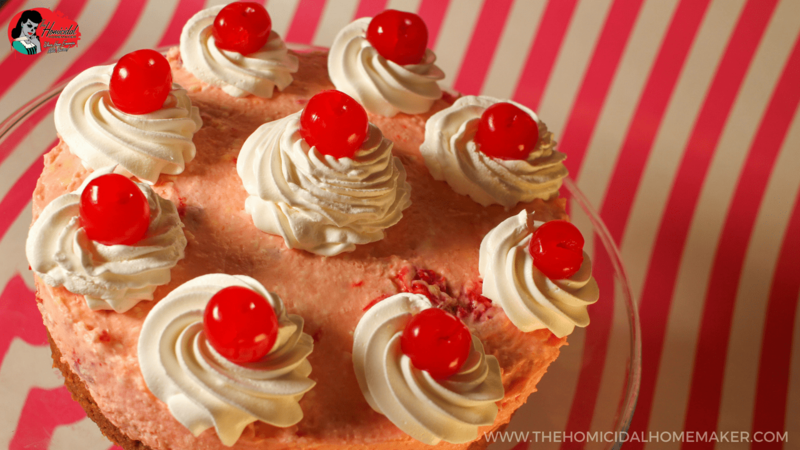 Did you make this vintage Cherry Cream Pie recipe? Be sure to snap a photo and hashtag it #homicidalhomemaker for a chance to be featured!